The family of onions is undoubtedly one of the most important for our health. These versatile vegetables can be consumed in various ways, either cooked, in soups, sandwiches, or raw. Yet, there are among the favorite ingredients in countless meals. 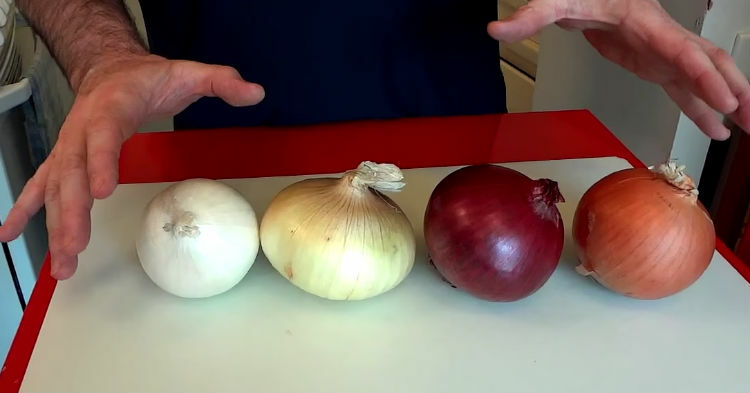 Chef Buck made a short funny video to demystify this beneficial vegetable, but he also reveals some additional tips on how to use onions to make your kitchen more efficient. The video below shows you how to chop onions easily and all you need is a stainless steel hair pick. You should gently stick through the onion to serve as a guide for the knife. This will accelerate your work, and you will get nice, even cuts.